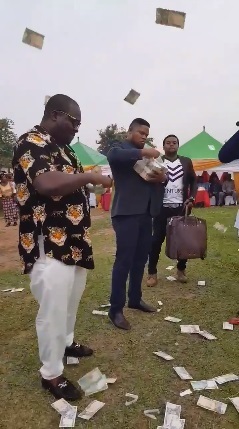 Sunday, August 26, 2018 - This Nigerian billionaire who has invested in oil and gas caused a stir in his sister in law’s wedding after he started throwing money around like Githeri. The man walked in with a briefcase full of money and started throwing it around. Some people are living the life while some of you are just surviving.